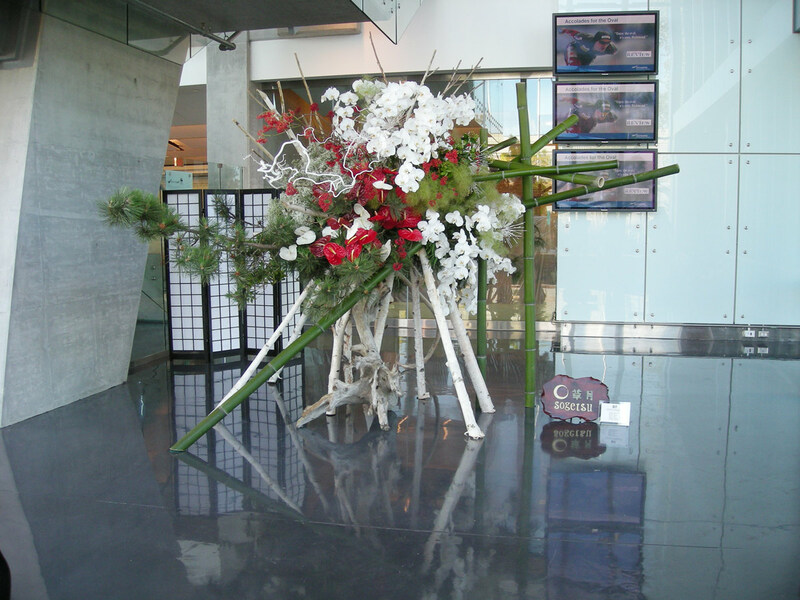 Kiyoko Boycott is an ikebana teacher and practitioner. 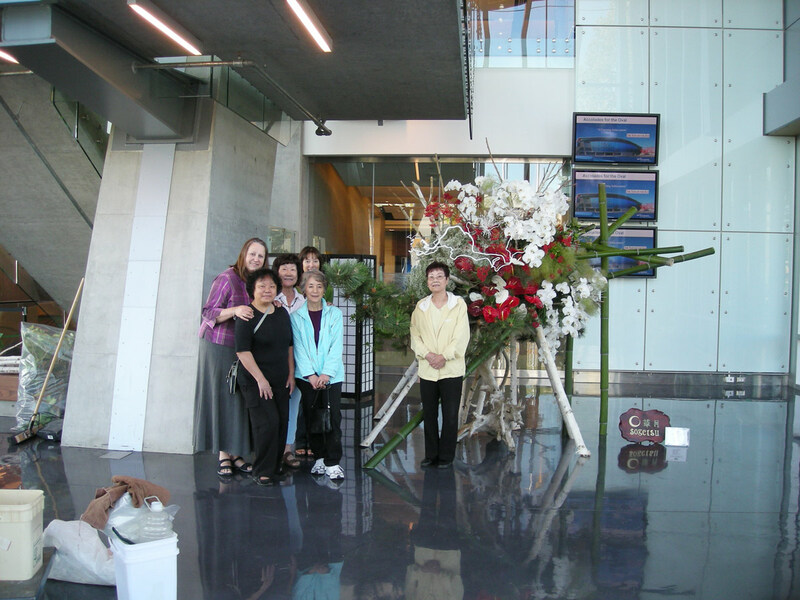 She is one of the founding members of the Vancouver Ikebana Association, and has been teaching and practicing ikebana for over 50 years. Before immigrating to Canada with her husband and children in 1959, Boycott owned a flower shop in the Aoyama area of Tokyo, where she would sometimes host her ikebana teacher’s lessons in a tiny three-tatami room, and eventually started teaching ikebana herself. Boycott practices in the Sogetsu style of ikebana, a more modern ikebana school established in 1927. The Sogetsu philosophy towards ikebana is that it can be practiced by anyone, anytime, anywhere, with whatever materials are available. While still a new immigrant living in Richmond, Boycott was asked to do an ikebana demonstration at Steveston’s Salmon Day festival in 1963. Her demonstration was so popular that she had upwards of 70 people ask to learn ikebana from her. 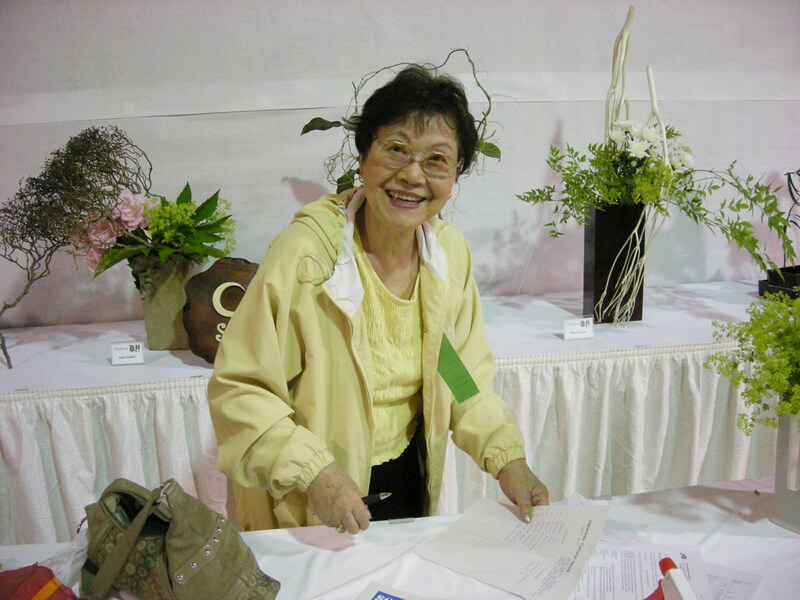 She was one of the first ikebana teachers in the Vancouver area. Since then, Boycott has received invitations to teach and give demonstrations around the Lower Mainland, and even in Toronto and the United States. She has also received many honours, including a Certificate of Merit from Prime Minister Brian Mulroney, and numerous honours from the Sogetsu Ikebana school of which she is a part. In addition to holding the highest teaching degree in Sogetsu, that of “Riji”, Boycott received the highest honour for Sogetsu overseas practitioners, the Sogetsu Kaigai Taisho, in 2017. This was awarded for her work promoting Sogetsu around the world, her creative activities, leadership, and mentorship of the next generation of Sogetsu artists. As of May 2017, she was still teaching students in her home and at the Steveston Buddhist Temple, the place where she did her first ikebana demonstration in Canada.